Uncommon Rigor: What is AstroPsychology? AstroPsychology is a sophisticated brand of psychological astrology that empowers practitioners to provide real therapeutic benefit to clients. This is essentially what distinguishes the Academy from other schools: we teach astrology but also psychology. A variety of psychological concepts are explicitly discussed and seamlessly interwoven with astrology. The result is a deeper, richer, and ultimately more useful model than either astrology or psychology alone can provide. The Diploma Program entails twelve 6-week courses over a two year period. Each year requires nine months of study from September through June (36 weeks). Purchase of a course automatically qualifies students to participate in online classes for that course. Participants also have the option of doing any course independently, which allows them to begin anytime and complete the work at their own pace. Students are able to view archived recordings of classes if they are unable to attend the live class. A new cohort begins each September. The program is designed for beginners and for experienced astrologers who wish to go deeper. Students become familiar with astrology as a personality theory, developmental model, archetypal language and diagnostic tool. All classes are taught by Glenn Perry. The First Year focuses on chart synthesis: planets in signs, houses, and aspect. In-class interpretive work is supplemented by reading assignments, audio files, and videos. For each class, there are written exercises to help students master the material. One course unfolds into the next so that participants learn to interpret charts in a progressively more complex manner. Each course entails six assignments that take approximately 3 to 5 hours per/assignment to complete. Students utilize Blackboard, the leading online learning platform for course materials and online quizzes. The latter entail a variety of question formats — short answer, multiple choice, and true/false — with immediate, automated feedback that allow students to measure their progress throughout the program. Participants write one essay per/course, to which Dr. Perry responds with personalized feedback. Reading assignments include a number of different authors, including Liz Green, Robert Hand, Greg Bogart, Howard Sasportas, Richard Tarnas, Sue Tompkins, Richard Idemon and Glenn Perry. 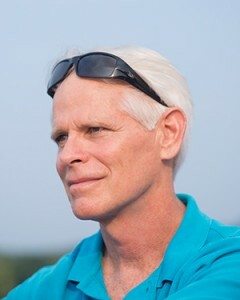 Glenn is available as your personal mentor. You can contact him at any time by phone or email with questions that pertain to course assignments. While much of astrology can be learned through memorization of proper keywords, mastery of the language requires a thorough understanding of its grammar and syntax. The primary value of the program is that it teaches the student how to think and speak the language of astrology with maximum precision. While earning their diploma in astrology, participants also learn how psychopathology and healing are articulated within the astrological model. Particular emphasis is placed on how the birth chart symbolizes a life story capable of being lived on successively higher levels of integration. The Second Year builds upon the foundation of the first year by providing six additional courses. Topics include the history of astrology, predictive methods, astrological counseling skills, synastry, and the philosophical foundations of astrology. Weekly online classes focus on natal chart analysis with transits, progressions, and the Developmental Age Method (DAM). Support for conscious evolution is built into every course, encouraging students to collaborate with planetary cycles toward the unfoldment of their highest potential. While the primary focus of AstroPsychology is the psyche, there is also a keen interest in external events—not merely to predict them for their own sake, but to discern their significance as evolutionary drivers; that is, events that serves as catalysts and vehicles for a developmental process. AstroPsychology provides a framework for exploring human change processes from multiple perspectives, including psychodynamic theory, developmental models, and consciousnesses studies. These realms of inquiry enable participants to identify stages of growth and to anticipate how consciousness evolves through learning opportunities that correlate with planetary cycles. Participants investigate how human capacities emerge over time and why the evolutionary intent of the cosmos is operative in the self-actualizing processes of the psyche. What distinguishes AAP from other astrology courses online is that students are taught consulting skills, such as how to take a history, formulate hypotheses, reframe conflicts, and predict opportunities for growth. Special emphasis is placed on how astrology can be utilized in counseling to facilitate empathy, stimulate insight, and strengthen the client’s sense of personal agency. The Diploma Program is suitable for individuals who wish to evolve consciously while seeking an in-depth understanding of the full scope and practice of AstroPsychology. 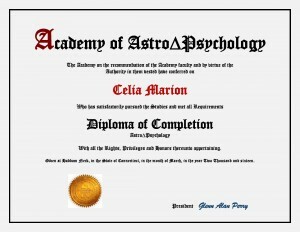 Upon successful completion of the final exam, students receive a Certified Diploma in AstroPsychology. AstroPsychology is a brand of psychological astrology characterized by uncommon rigor, structure, and precision. Firmly grounded in horoscopic astrology’s 2000-year tradition, it builds on this foundation by incorporating concepts from depth psychology, integral spirituality, and new paradigm sciences. There are many generic astrology courses online, but none with the depth and sophistication of the Academy of AstroPsychology. The primary value of the program is that it teaches students to speak the language of astrology with maximum precision. In-class interpretive work is supplemented by reading assignments, audio files, and video. For each class, there are quizzes and written exercises to help students master the material. One course unfolds into the next so that participants learn to interpret birthcharts in a progressively more complex manner. To learn more about our online courses in astrology, please select The Program on our menu list. Click About to see testimonials and visit Articles to learn what is AstroPsychology. Also, be sure to sign up for our free AstroPsychology Newsletter by clicking on the link below!